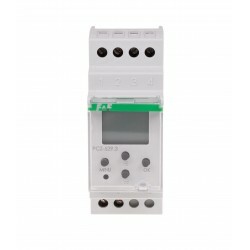 Programmable timer with LED control output. 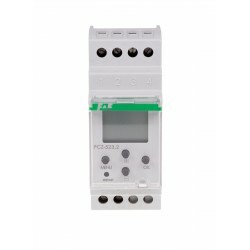 PCZ-531LED controller is designed for programmable, temporary control of low-voltage LED circuits (LED strips, dimmable 12÷24V LED bulbs). The clock at programmed hours in the following cycles: daily, weekly, working days (Mon-Fri) or weekend (Sa.-Su.) sets the brightness level of the output circuit at a given level (range 0-100%). 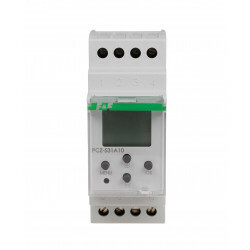 Up to 500 independent program steps can be programmed. The controller is equipped with a local input enabling remote control of the controller by means of any monostable button. SEMI-AUTOMATIC OPERATION - operation in automatic mode can be inter-rupted to manually (with external button) set the brightness level. Semi-automatic operation continues until manual return to the automatic mode or until the next step of the program is started. ON-OFF COMMAND - program entry according to which the receiver will be turned on or off. * single day of the week: Mo. Tu. We. Th. Fr. Sa. or Su. * business days: Mo. Tu. We. Th. Fr. (Monday to Friday). * daily: Mo. Tu. We. Th. Fr. Sa. Su. (Monday to Sunday). AUTOMATIC TIME CHANGE - Changing time from winter to summer is automatically done at night on the last Saturday/Sunday of March. Changing time from summer to winter is done on the last Saturday/Sunday of October. The controller has a time zone selection feature, so that the switching time is consistent with local time. DATE PREVIEW - Pressing the OK button displays the set date in the format: dd-mm-yy. 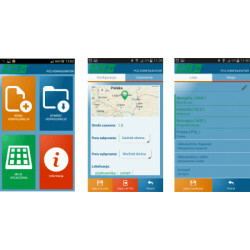 CURRENT PROGRAM PREVIEW - If the timer operates in automatic mode, then the subsequent pressing of the Up/Down button in the date preview mode will display information about the number and details of the currently running program. CLOCK FREQUENCY ADJUSTMENT - Ability to freely accelerate/decelerate the timer. 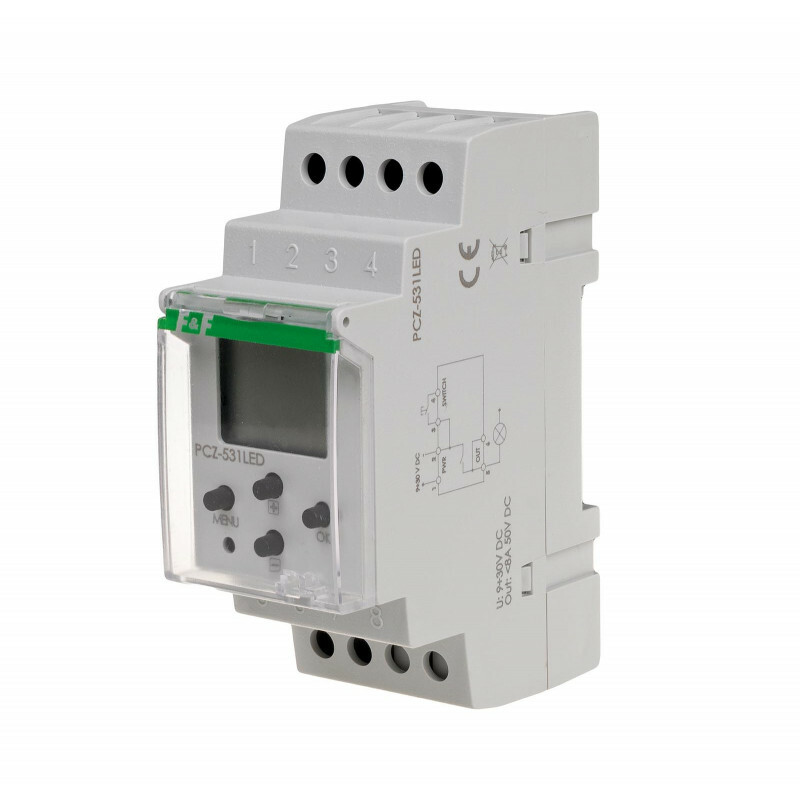 For example, if the controller starts to run slow 5 seconds per month over time, you can programmatically correct the deviation. REPLACEABLE BATTERY (type 2032) - The controller is provided with a battery status monitor in case of a main power failure. If the battery is low, you will be informed that you need to replace it. LCD BRIGHTNESS ADJUSTMENT - Changing the display contrast allows you to obtain clear LCD reading for different viewing angles. 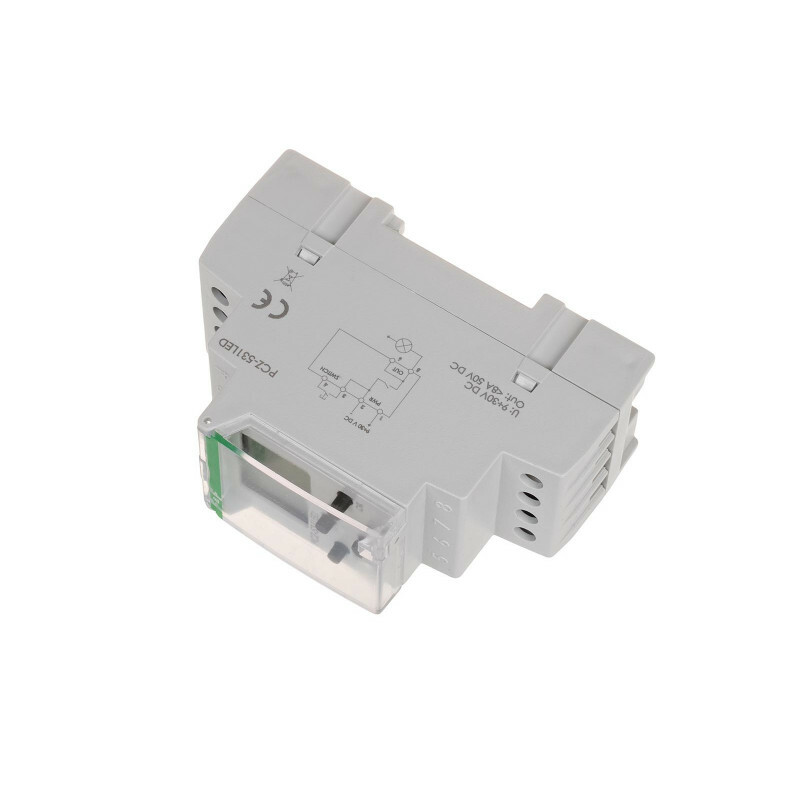 RELAY STATE MEMORY - The set state of the relay in manual mode is saved also after power failure. Accuracy of program time setting 1 min.